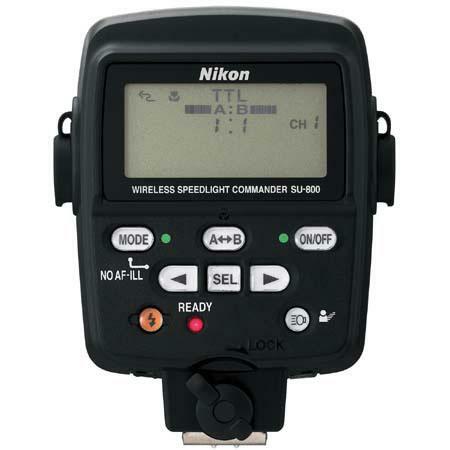 The Wireless Speedlight Commander SU-800 (Amazon | Adorama | B&H) is a wireless commander which offers wireless controlling of an unlimited number of Speedlights (compatible with SB-R200, SB-910, SB-900, SB-800, SB-700 and SB-600 Speedlight units) and up to 3 Speedlight groups within a transmission range of 66’ (approx 20 meters). This allows the user to split all the Speedlights that he wants to control in totality and then control each group individually according to his requirement. 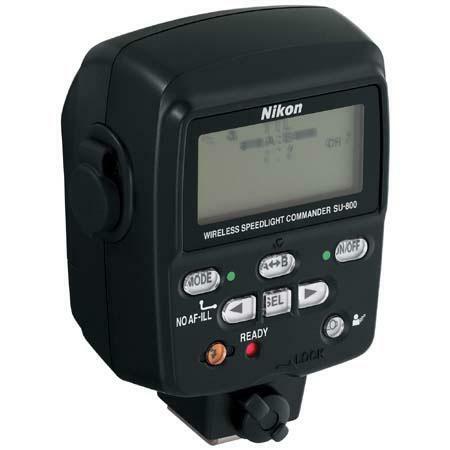 Just in case you’re planning to use the system in a location that is also going to have other photographers using their wireless systems, the Wireless Speedlight Commander SU-800 comes with four independent channels. It supports all camera system compatible with Nikon’s Creative Lighting System (CLS) technology. There are two types of close-up operations provided in the lens, one is dual-light close-up flash and the other one is triple-light close-up flash. It also has a built-in AF beam that ensures proper focusing in areas where there are little to no ambient lights. It can make a total of 1200 transmissions at a delay of 1 sec between each. Lens coverage is 60° (vertically) and 78° (horizontally). 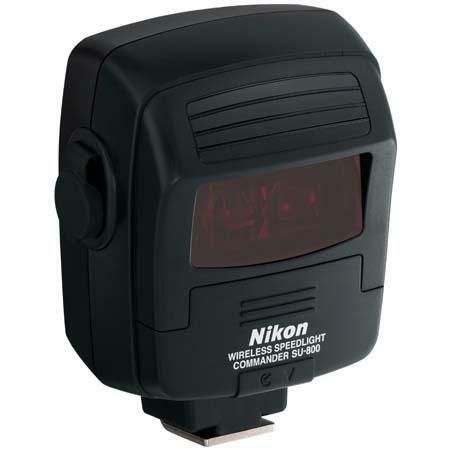 Other specifications of Speedlight include a transmission wavelength of 800-1,000 mm and an Infrared transmission mode. 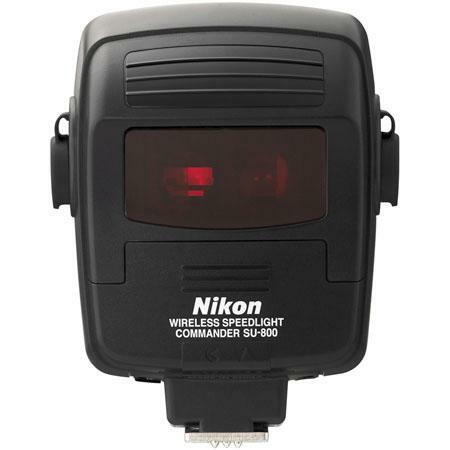 The Speedlight uses a power source of one 3V CR123A lithium battery. The overall dimensions of the Speedlight are 2.7 x 3.8 x 2.3 and it weighs 160 grams making it a lightweight compact system. Depending upon your country of location, the system comes with a SS-SU800 soft case for easy transportation.